The future of product design is evolving as digital technology is changing the way things are used, sold and serviced. Businesses are finding that customers are more sophisticated than ever before and the level of complexity that they demand is on the rise. While it’s important to provide clients with personalized attention, that’s only possible if everyday tasks such as Autodesk Inventor based workflows and business process routing and management can be automated and teams become more efficient with their work. Design automation lets engineers focus on high level design, rather than the mechanics of the drawing technology. IMAGINiT provides process and design automation services to extend CAD tools and automate CAD processes as well as automate business logic. Employees work smarter, not harder. 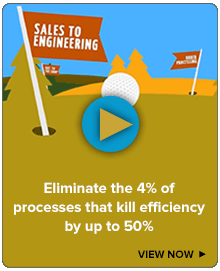 With computer automated design, it’s possible to eliminate repetitive tasks, increase speed and consistency, and condense processes to one or two mouse clicks. Engineering time is reduced. IMAGINiT’s engineer to order services can help companies decrease engineering time through rules based computer automated design systems, automated configurators, and more. With years of industry experience, our team will help you reach new levels of productivity and customer satisfaction. "Even at this early stage in the migration, we've seen a 20-30% productivity gain on workflow. And for our mill room, its between 50-70% gain in productivity." Sales Approval Drawings Take Too Long? 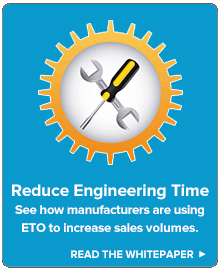 Online quote system integrated with design automation improves time to market. Belvac now designs and engineers new parts in five hours—instead of five days.